What’s Different About The P2 Putter Grip? The key feature of the P2 putter grip is the patented positioning of the shaft within the grip. Unlike any other putter grip where the shaft is positioned through the centre, in the P2 putter grip, the shaft is positioned at the back. 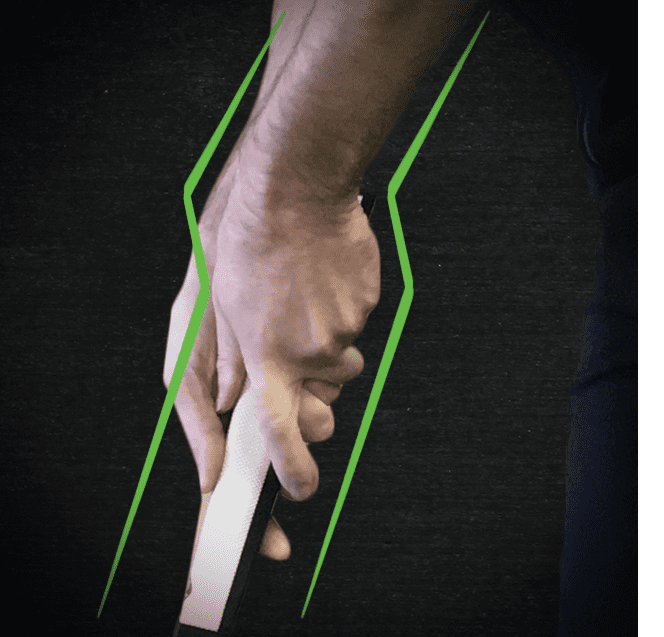 Creates ulnar deviation biomechanically locking the golfers wrists in place, thus eliminating any unwanted hand movement. How Does This Improve Your Putting Performance? The position of the shaft within the putter grip, increases the angle of both wrists, locking them into position throughout the stroke. This prevents any unwanted hand movements resulting in less rotation of the putter face and a square impact with the ball each time. The higher positioning of the wrists also allows the forearms to be aligned in perfect symmetry with the shaft of the putter and putter face. This ensures the hands, wrists, arms and shoulders will work together to produce a smooth pendulum stroke. If you review any good putting coaches blog post, instructional article or video, you will see that the optimum positioning for the grip while putting is through the lifeline of both hands. 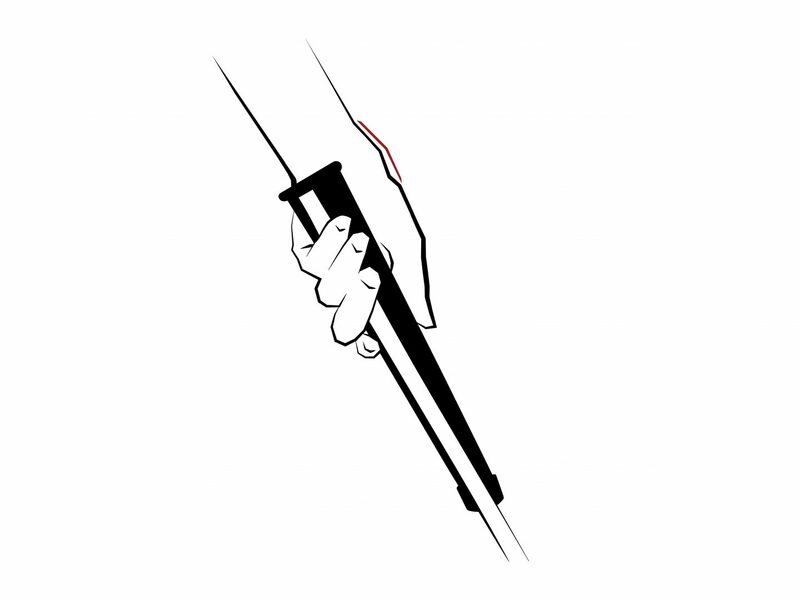 By positioning the grip high in the palm, it limits the amount of influence the wrists can have throughout the stroke. However, this is at odds with what golfers are asked to do with their grip for full shots with irons and woods. 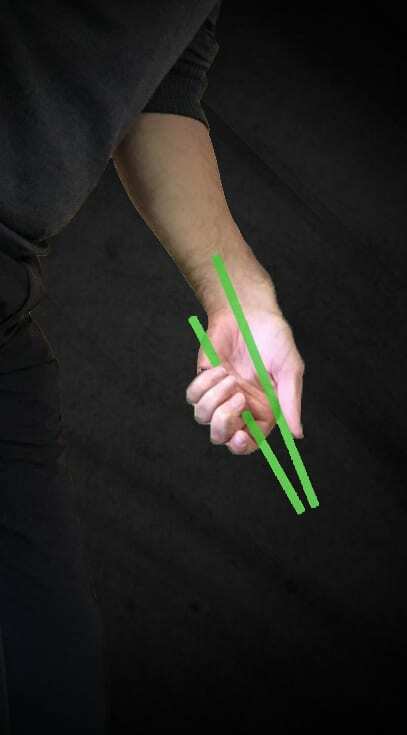 Here you are encouraged towards a grip that is more through the base of the fingers, allowing the wrists to hinge correctly in the back-swing and follow through. Each P2 putter grip has been designed so that it sits higher in the palm and fits into the lifeline without any conscious effort on the part of the golfer. What will have felt very strange to the golfer with a conventional grip will instantly feel more comfortable with any of the P2 range. Also, as the shaft of the putter is housed at the bottom of the P2 grips, you still have the sensation of gripping the putter in the base of the fingers making it feel more natural. The P2 core range of putter grips are designed to be heavier than most standard oversize grips to assist a golfer’s control of fine motor skills. Fine motor skills are skills which involve the small muscle groups such as the hands and fingers.  These skills use fine and intricate movements for example when playing darts, snooker or putting in golf. Fine motor skills require more control and hand-eye coordination than gross motor skills. Golfers who putt well have a high level of fine motor skills. This simply means they have the neuro-muscular ability to move and control objects with their hands at slower speeds in a consistent, repeating and very precise manner. For the golfers who do not have a high level of fine motor skill, by placing a substantial weight in the grip, the hands feel that heavier weight and are better able to move in a more consistent manner.